Event preparation can be both exciting as well as full of challenges. People have time-sensitive decisions to make along with investments to be made. These include agreeing on what type of vendors to use for your event to choosing the location for the event. One of the most crucial factors for your event is the photographer who can capture beautiful moments. 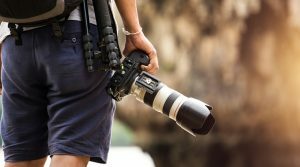 With revolutions in the photography industry, many unskilled enthusiasts can easily acquire great cameras and label themselves photographers. It is therefore essential to consider various aspects when choosing the best photographer for your events. Before you commence your research, it is essential to decide on the type of photography design you would like to have. This gives you a clue on the professional you are seeking to hire. The various types of photography you may need to look at include documentary, portraiture etc. Before you hire any photographer for your event, try to know the existing experts in your location and understand their service. Extensive research on their websites, blogs and visiting their offices could help you understand what they offer. That will also assist you to know if their provisions will fit the quality of event photography services you desire. Many people underestimate the importance of bonding. There is a need to get a photographer who understands your vision and who will provide suggestions to add to your photography ideas. You do not want to work with someone who will frustrate you and your guests on your big day. It may not be easy to nail down the exact amount of money you need unless you are sure of the services you are seeking to get. Understanding the packages each photographer on your list has to offer is thus paramount.